How Long Will The NordicTrack Commercial 2950 Last? Mechanically speaking, the Commercial 2950 is one of the best machines in its price range. From the motor to the drive, we find that this treadmill is excellent and will grant at least seven to 10 years of solid use. Yet, overall, the machine also includes Icon’s attempt to include more complicated technology which, of course, comes with a great risk of glitches and system shutdowns. While brands like Landice and True Fitness have stuck to the simpler method of programming, NordicTrack is flirting with a bigger monster that can lead to all sorts of unforeseen issues. If your machine experiences one of these programming glitches, then you certainly run the risk of battling Icon’s dreaded service department. Unlike previous years, NordicTrack has consolidated their ideas which have led to a product that we would highly recommend with slight caution to the wind. While NordicTrack has certainly gone above and beyond with their quality of parts, we cannot stress enough the continual issues some customers face with Icon’s customer service. While we also have some concerns with the iFit Subscription, the Commercial 2950 is still a solid machine. Though it may lack in company distinction, the Commercial 2950 wins some points with its additional programming. 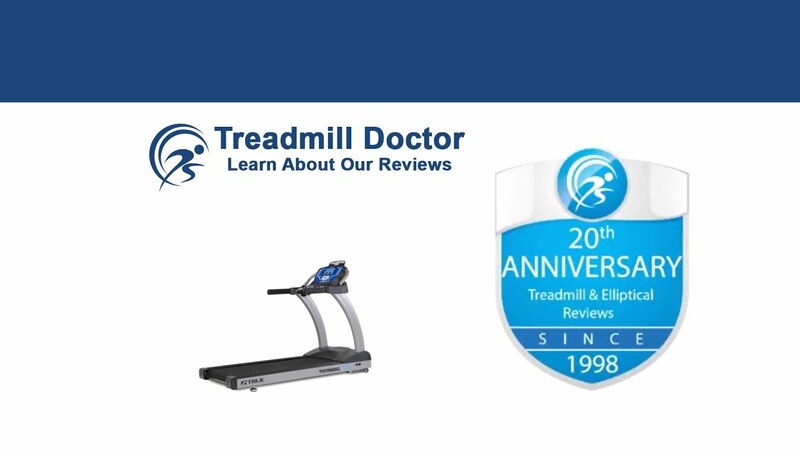 With this, we have awarded the NordicTrack Commercial 2950 Third Place in our 2019 Best Buy race among the $2,000 to $2,999 dollar treadmills. The component quality has become exceptional on these higher end models. For instance, though we see a good deal of repair for the lower end NordicTrack rollers, these rollers are larger and higher quality making the overall product a better investment. Also, NordicTrack’s engineering has created a machine that works smoother and puts less wear on the parts. One thing we have noticed is the huge touchscreen with Bluetooth compatibility as well as web connectivity. There are a few drawbacks that come with this new screen, however. NordicTrack seems to be attempting a forced partnership with the iFit Coach Plus (the more expensive iFit subscription). Though they offer a free one-year subscription, the user must pay $39 a month to continue that subscription. If you do not wish to continue, then many of the bells and whistles that come with the Commercial 2950 become inaccessible. iFit also seems to be a bit elusive as the membership prices continue to change. Yet, if you are someone who loves the idea of having an attractive hunk of muscle smile at you while you sweat, then the iFit coach could be a great investment. Another possible drawback with this new screen is the high risk of programming issues. While we have grown accustomed to the instantaneity of Apple and Samsung, it is important to keep in mind that Icon is a company that builds fitness equipment. Web processing and device connectivity is a new arena and will increase the likelihood of programming issues. Over the years we have recognized the reasonable price for NordicTrack’s Commercial 2950 yet have disliked their previous attempts to integrate multiple screens as well as their continually poor customer service. Still, the Commercial 2950 has ranked as our Best Buy in the $2,000 to $2,999 price range in 2017 as it is a very well built, thoughtfully engineered machine. We find the Commercial 2950 to be one of the best machines in its price range with quality parts and innovative design. While we like the improved screen, we are a bit wary of the iFit subscription especially since there is not an equivalent model with the new touchscreen that does not require an iFit subscription for optimal use. With a grain of salt, we still recommend our Third Place 2019 Best Buy Winner in the $2,000 to $2,999 dollar category as the quality products and intelligent design will more than likely not require too much need for Icon’s customer service department.